Markkanen Out 6-8 Weeks, Now What? Lauri Markkanen suffered an unfortunate injury during practice that will keep him out 6-8 weeks. To give the injury some perspective, here is a tweet from Jeff Stotts. The 6 week mark will be 11/9/18 and the 8 week mark will be 11/23/18. Assuming he will miss the same amount time as Batum, Lauri will miss all of preseason, and about 12-15 games in the regular season. This is a big blow for the Bulls, as Markkanen is one of the cornerstone pieces of this current rebuild. Hoiberg’s rotation will now need to change, and luckily for him he has options. Markkanen was expected to start at PF, but the Bulls will now have to replace him. The Bulls have Bobby Portis who can play the position, and has started there in the past. But Portis played well in his 6th man role, and even mentioned he likes the role. “I like the role, I get to come off the bench and score a lot. Who doesn’t like that role?” Portis said that before the season on his upcoming 6th man role. Portis fits nicely in that role, as he brings scoring to the 2nd unit. And if anything else, tons of energy. I feel the 6th man role is perfect for Portis at this point. But what other options do the Bulls have? The Bulls signed forward Jabari Parker this off-season. While the plans were to start Parker at the SF position, the 4 year forward has played most of his career at the 4. And for what it’s worth, has had most of his success. The idea of moving Parker down to the 4 seems to make the most sense, as you know he would be comfortable there and is best there. And we already know Portis is comfortable off the bench. The only problem that would create is who starts at the SF position? The Bulls have 3 options; Justin Holiday, Chandler Hutchison, and Denzel Valentine. Valentine suffered a mild ankle sprain in practice the other day, and he will be out 1-2 weeks. He should be ready for the regular season, but will miss some of the preseason. Holiday and Hutchison will get the 1st opportunity to start and impress in preseason. Hutchison is a rookie, so I would expect to see Holiday starting at the 3 Sunday in the Bulls 1st preseason game. But what do each of the 3 bring to the starting unit? Justin Holiday: Holiday started 72 games for the Bulls last season, but in a slightly different role. The Bulls started last season short handed, and Holiday was asked to do more than he is capable of. Through the first 23 games last season, Holiday averaged 14 points a game. But was really inefficient as he shot 37% from the field, 35% from 3, a true shooting % of 49.6% and an usage of 20.7%. But the next 25 games the Bulls were healthier but more importantly had more talent around Holiday. With lesser of a role and attention on him, Holiday’s numbers improved. He averaged 12.7 ppg, less than before, but he was more efficient. He shot 40% from the field, 42% from 3, a true shooting % of 57.0 with a usage of 16.0%. It is clear with talent surrounding Holiday, he can do what he is most comfortable doing. Which is catch and shoot, rather forcing up shots with the shot clock running down. Less usage for Holiday is good, and that is what he would have in the starting lineup. Denzel Valentine: Denzel started 37 games for the Bulls last season, and was better as a starter than a bench player. What is not listed there is the usage. Valentine as a starter had a usage of 16.4%, and with the bench had a usage of 18.5% off the bench. And a true shooting % of 55.3% starting vs 50.1% off the bench. Clearly with talent around him, Valentine can give average efficiency and shoot above average from 3. Valentine also provides good rebounding, gathering 17% of his team’s defensive rebounds, which is top in the league at his position. He also was responsible for 18% of his team’s assist when out there, which for his position was also top in the NBA. Chandler Hutchison: Hutchison is a rookie, so we don’t have much to judge him on. Summer league showed us a little bit. He was 2nd on the team in assist, he showed an ability to handle the ball and find the open/cutting man. He made 8 of 16 threes, but struggled from everywhere else shooting 33% when he wasn’t shooting a 3. Hutchison was labeled a wing player with good defensive potential, and he showed potential this summer league. That is Hutchison’s biggest argument to start, as he can be a better defender than both Holiday and Valentine. And with Lavine and Parker, having a good wing defender is necessary. I ideally want to start Hutchison because of his defensive potential, which I see being a big need from that 3 position. But I want him to earn it, I want to see him play well in preseason before giving it to him. We don’t know how good he will be right away, throwing him out and just hoping he can be good could hurt his development. To me until he proves it, this is between Holiday and Valentine. And at this point I would start Holiday at the 3 and move Parker to the 4 following this Markkanen injury. Neither are an ideal 3, I prefer to have Valentine’s play making on the 2nd unit where it is more needed. Let Holiday start, and expect more efficiency from him with Lavine, Parker, and hopefully a better offensive player in Kris Dunn. September 25th is the day players report to camp and practice as a team for the first time. The Bulls go into training camp with most of the same players from last season. But with two 1st round picks and new free agent additions, the Bulls rotation will have a new look. The new rookies Wendell Carter Jr and Chandler Hutchison will be looking for playing time, and they will be competing with veterans for minutes. The two rookies will need to use preseason to show they can have a positive impact in the regular season, and help the team win games. I see three potential training camp battles. The Bulls first game is October 17th against the Philadelphia 76ers, how these battles play out will determine the rotation for that game. Battling for starting center position. Dunn, Lavine, Parker, and Markkanen are locks as starters for opening night. The center position however is not as clear. Robin Lopez in his two seasons in Chicago has been the starting center, and has been reliable and consistent. You know what you are going to get from Lopez. Robin knows how he is effective and doesn’t try to play outside of his ability offensively. Offensively he is more effective than defensively. Effective inside the paint and from mid range. He is comfortable on the low block and finishing with a hook shot. Knows where he is more effective shooting the ball, takes most of his shots from the paint area and around free throw line. Not a liability defensively but not a strength either. Struggles away from the paint, but understands help defense well. Basically he understands how to effect the game in a positive way, and Hoiberg can trust him. But in June the Bulls had the 7th overall pick in the 2018 draft, and chose to draft 19 year old center Wendall Carter Jr.
Lopez is a 10 year pro, and is 30 years old. He normally would be the correct choice over a 19 year old rookie drafted 7th overall. But Wendall Carter Jr showed a defensive potential that Lopez does not have, and never will. You saw a player who can impact the game defensively, an area the Bulls should be most concerned with heading into the upcoming season. The video highlights what Wendell Carter Jr can bring defensively. He has good instincts and understands rim protection. The last clip is something you would rarely see from Robin Lopez, Wendell shows he is able too defend on the perimeter as well as at the rim. Wendell also is skilled offensively. While he likely isn’t ready to have a huge role offensively, he doesn’t have too on this team. He can spread the floor with his range, from mid-range to the 3pt line. He will need to get stronger but seems he can be effective near the basket as well. But really what the Bulls should value for now is his defensive presence. The one difference maker in the Robin Lopez vs Wendell Carter Jr camp battle is how much can Wendell affect the defensive end right away. Offensively Lopez likely will be more effective on a consistent basis, but defense is more of a need from the center position on this Bulls team. He was great in summer league, but that doesn’t compare to the regular season. The Bulls need to really use training camp and mainly preseason to see how much Wendell can affect the defensive end right away. If his impact on that end is consistently more effective than Lopez, than the Bulls should consider starting Wendell instead. But at 19 years old, expecting him to be that good right away is more unlikely than likely. But he should get every opportunity in preseason to play with the first unit. And even if Wendell doesn’t start, maybe he should be considered to finish games especially when defense is needed. For now Lopez is likely the favorite to start, while Wendell will get around 20-22mpg to start. But depending how good he looks in training camp and preseason, that number should rise as well as possibly start. Realistically only about 10 players will play in a game, sometimes even less. 5 starters, 5 bench players. At this point we know Cameron Payne, Denzel Valentine, Bobby Portis, and WCJ or Lopez will be in the rotation. The question really becomes who can become that 10th guy? Like the 1st battle I covered, this is again rookie vs veteran. Unlike the first battle, the veteran Holiday isn’t as established and productive as Lopez. Holiday most of his career has been a low end rotational type player. While last year started at the wing for 72 games, he was more of a filler in a rebuilding year. He averaged 12 points, 4 rebounds, 2 assist. Shot inefficiently at 37% from the field, which is below average for his position. From 3 shot 35% which is about average for his position. Defensively he is about average as well. Just using on/off ratings the Bulls were better defensively with him, but still a poor defensive team either way. Holiday at this point is a catch and shoot 3 point shooter while providing average defense. Again like with Lopez, with Holiday you know what you are going to get. With Hutchison it is not as clear, but we did get a glimpse of his potential in summer league. This highlight reel really showcased the potential Hutchison showed in summer league. Hutchison was labeled as an athletic SF who can play defense, and we saw that. Hutchison showed he can move well laterally, has good hands, and a good IQ and understanding on how to play defense. The one thing that surprised me was his play vision and ball handling. Hutchison was 2nd on the team with assist in summer league with 18 assist. He handled the ball well, and was able to get to the paint and create for others or himself. While he didn’t finish consistently at the rim, he did shoot the 3 ball well. He was 8-16 from 3 in summer league. Hutchison showed a potential to affect the game in a way Holiday can’t. Hutchison showed not only more defensive potential, but showed an ability to be more of a play maker than Holiday on the offensive end. But this is just from summer league. Training camp and preseason will determine a lot in this battle. To me this battle should be considered an open competition. Hutchison potentially can bring more than Holiday can, but the question is how good can he be right now. That’s what preseason will have to determine. Can Hutchison adjust to the NBA quick enough to help the Bulls win right away? We know what Holiday can do, and what he will bring to the team and he can help. But if Hutchison can outplay Holiday in preseason, then Hutchison should be considered ahead of him in the rotation. Both should equal time with the 2nd unit, and see who has more impact with that unit. The Bulls must have their roster at 15 by Oct. 15th, and as of right now the Bulls have 17 players under contract. The Bulls must waive two players by Oct. 13th, so they can clear waivers by Oct. 15th. The Bulls have 17 players under contract, only 14 of them are guaranteed. There are three players under contracts that are fully non-guaranteed. Those 3 players are Arcidiacono, Cleveland, and Walton Jr.
Those players are the 3 that are likely to be battling it out for that last spot. It’s possible none of them make the team, and the Bulls only carry 14 going into the season. Or even possible Bulls keep 2 of the 3, and waive someone like Asik who is likely to see DNPs most of the season. But Asik’s 11.2 million guaranteed makes that an unlikely scenario. What is most likely to happen is only 1 of the 3 make the team. While the two other two are waived. One of them can be brought back on a two-way contract after they clear waivers, and one or both can be brought back on a G-League contract as well. Arcidiacono and Walton Jr are both point guards, while Cleveland is more of a shooting guard. Neither of the three have much NBA experience, all 1 year players with none of them playing more than 24 games. And neither of them played a significant role with their respective teams. There isn’t anything the 3 players do that separates them from each other. Really what it comes down too is what do the Bulls need more? Point guard? Shooting guard? The Bulls have only have two point guards on the roster, Kris Dunn and Cameron Payne. While the Bulls have Lavine, Holiday, Valentine, and Blakeney at shooting guard. That’s four shooting guards compared to just two point guards. Cleveland would have too really impress in camp to make the roster. To me the real competition is between Walton Jr and Arcidiacono. The Bulls could use an extra point guard, and one of the two has to show why they are the one. Arcidiacono has a slight advantage over Walton Jr. Arcidiacono played in the system last season, and has a better idea of what Fred is looking for and how too run the offense. The stats are their G-League numbers. Watching both players and looking at the stats, Walton Jr seems to be the better scoring point guard. Arcidiacono shot the ball exceptionally well last season. His passing vision and and shooting ability is what he brings to the NBA. I imagine Arcidiacono has the edge on Walton Jr in this battle purely based off the fact he played with the team last season, and the team seems to like him. He was one of the better G-League players last season, and thrived running the system down there. Walton Jr likely will have to really impress to win the spot over Arcidiacono, but either one could be brought back as a two-way player as well. I believe Arcidiacono will win this battle, but the idea of bringing Wralton Jr back as a two-way player could happen if he plays well. If the idea of the new season wasn’t exciting enough, these 3 battles will make preseason really interesting to watch. There is a lot to look for, and how these players play should have impact on how the rotation and roster looks come October 17th. The Chicago Bulls claimed David Nwaba off waivers last off-season. Nwaba at the time was 24 but only had 20 games of NBA experience, playing less than 400 minutes during this time. Nwaba ended up with a even bigger role in Chicago. He played in 70 games for Chicago last season, and played well throughout the season. Nwaba’s strengths were his defense and rebounding. You see the numbers from https://cleaningtheglass.com/. When on the court, Nwaba is top in the NBA at his position for rebounding %. The blue/red numbers indicate the % he ranks within in his position for each category. Simply put when out there, Nwaba is one of the better rebounders on the court. Nwaba is also a quality defender. Even with his limited offensive skill set, Nwaba brought value to the Bulls last season. Nwaba entered restricted free agency for the 2018 off-season, and at the start of the off-season it seemed the Bulls were going to bring Nwaba back. They extended the qualifying offer to him, and seemed to have interest in bringing back the 2 year pro. But on July 14th, 2018 the Bulls removed the qualifying offer, and renounced the rights to Nwaba. The move was done to make room for free agent Jabari Parker, but the Bulls didn’t have to do this. Nwaba had a cap hold of 1.7 million as a restricted free agent. The Bulls could have kept him restricted, kept his hold, and still offer Jabari Parker a 2yr/38 million contract(18.9mil salary for 18-19). But for some reason the Bulls decided to remove the qualifying offer, and also renounce his rights. Clearing the 1.7 million cap hold, and giving Chicago ability to offer 2yrs/40 million(20mil salary for 18-19). Was that necessary? Was there a fear Parker wouldn’t have accepted 18.9 million salary for 18-19, and demand an extra 1.1 million to bring it to 20 million? I doubt that. So why did the Bulls do that? I imagine the Bulls were honest with Nwaba about his potential role. The Bulls have Lavine, Parker, Valentine, and Hutchinson on the roster. These are all players who play Nwaba’s position, and are all players Bulls have interest in seeing play next season. There is also Holiday, and now Antonio Blakeney who was promoted to an NBA contract for the next 2 seasons. The realization of there is no guaranteed playing time for Nwaba was there. Nwaba likely expressed his desire to not only get raise, but mainly be in situation where he can have a role and opportunity to showcase his skills. That would have not been a guarantee with Chicago. Seems both sides came to realization that Chicago is not the ideal fit for Nwaba due to potential limited role, and it was inevitable the relationship wasn’t going to work moving forward. The possibility of Nwaba coming back is still there. Bulls have the room exception worth 4,449,000. They can offer up to 2 years, with a starting salary up to that amount. But the money doesn’t change the lack of a role Nwaba could experience in Chicago next season. The only way I can see Nwaba back in Chicago is if the interest in Nwaba from other teams just isn’t there for him, leaving Chicago as one his few options for next season. I see that as unlikely, as Nwaba is a player that can help teams in any system. And I have to imagine there is a team that can offer him a back end rotational position throughout the season. I would have kept Nwaba restricted, and hoped to work out something with him. If he didn’t want to come back, he didn’t have too. But the Bulls made him unrestricted, leaving them without a first right to refusal opportunity. I still see value in Nwaba, and would have liked if the Bulls tried to keep him around purely as an asset, let alone a player that could help you next season. But at this point, it doesn’t seem Nwaba coming back is going to happen. Carmelo Anthony has made one thing clear this off-season, and that is he wants no part of coming off the bench. Melo during his exit interview said the following, “Yeah, I’m not sacrificing no bench role. So, that’s out of the question.” Anthony has an ETO for the 2018-19 season worth 27,928,140, which pretty much means he can opt out of his contract if he wants. But it’s widely believed Anthony wouldn’t risk losing most of his money, because there is a high possibility he doesn’t even come close to half of that in the 2018 free agent market. Reportedly if Melo is staying, OKC would ideally like to move Melo in a trade. Which could not only help their tax bill next season, but help save money and help them retain Paul George. But because Melo has a no trade clause and is making so much money next season, that will not be an easy task. But there is a scenario where Melo could make all his money, and still become a free agent. That’s where the Chicago Bulls come in. Why would the Bulls want to trade for Melo? Well in most cases, they wouldn’t nor should. Melo on the decline and at this point of his career would probably do more harm than good for the young Bulls team. Also why would Melo even accept a trade to the Bulls? First let’s cover why the Bulls should consider trading for Melo. And it relies on one thing, the Thunder taking Cristiano Felicio. The 4 years 32 million contract the Bulls gave Felicio last off-season was a mistake, and I’m sure they would admit that publicly if it made sense too. He has an average cap hit of 8,000,000 that hurts the Bulls cap space unnecessarily in the upcoming off-seasons, mainly because he produces at a below average level. 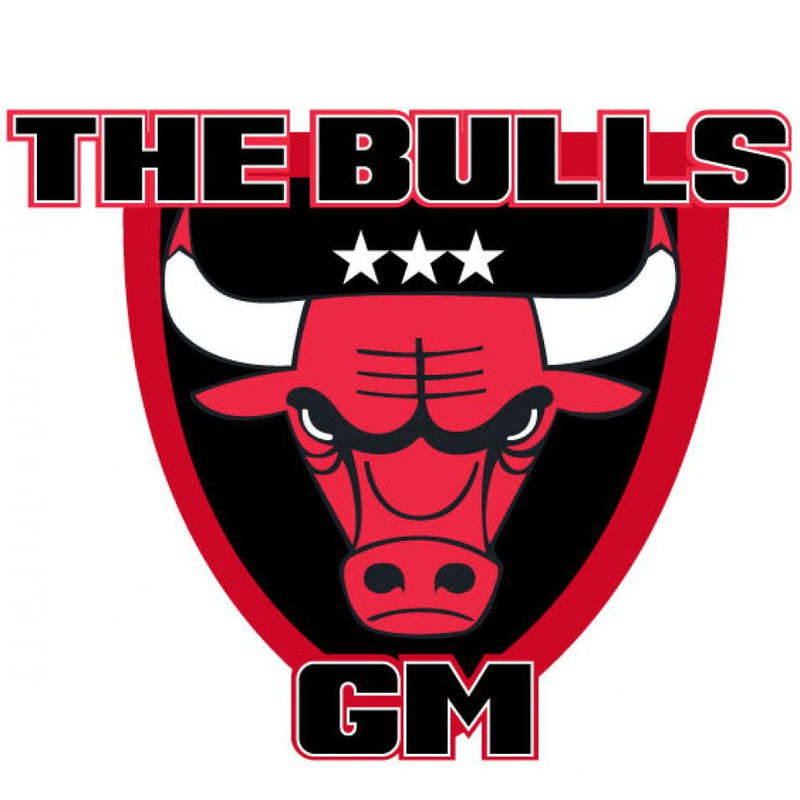 If I was the Bulls I would give OKC a call and offer to take Carmelo Anthony off their hands if they are willing to take back Crisitiano Felicio and someone like Jerian Grant. A move like that for OKC would not only save them 17 million in team salary but could save even more in taxes next season. And would make it easier for them financially to justify keeping Paul George. But why would Melo agree to a trade to the Bulls? Well there would be no intention on keeping Melo if you are the Bulls. You would waive Melo immediately and just eat the money, try to work a buy out first but not a big deal if he doesn’t agree. The idea is you are paying 27 million(Melo’s salary) now, to rid yourself of Felicio but mainly his cap hit in 2019-20 and 2020-21. The sell to Melo would be you still get your 27 million, but also get to go wherever you want via free agency. That would be why he would accept the trade to Chicago. The Bulls could also throw in Grant and Holiday(expiring contracts) if they wanted to ease some of the “dead” money they are creating by waiving Melo. The trade itself would leave the Bulls with little cap space in 2018, but leave them with about 8 million more in 2019 and 2020 because they traded Felicio. Which arguably is when the Bulls were going to use space anyways because they should be a better more appealing team moving forward. Because of that I do believe trading for Melo could make sense for all 3 parties involved. 12:00am July 6th, 2018. That is the exact moment Chicago Bulls forward Bobby Portis is eligible to sign an extension. As a player entering his 4th season on his rookie scale contract, Portis has up until October 31st, 2018 to agree to an extension. If one is not reached by then, then Portis will be eligible for restricted free agency for the 2019 off-season. Portis showed his offensive potential in his 3rd season, showing he can be a productive player for the Bulls moving forward. Extending Portis makes sense, but when is the right time? Whether or not that is true, what is true is the cap flexibility is there for the Bulls to have max space in the 2019 off-season. And what could be more true is the Bulls could be more appealing to free agents by that time as well. But let’s get back to Bobby Portis. A Bobby Portis extension now will eat into Bulls cap space for 2019, the question then becomes how much space do the Bulls need? If offering a player like Thompson or Irving a max contract is their goal, going off the 2019 cap space projection of 108,000,000, the space needed to offer them the max is 32,400,000(30% of the salary cap). So how much space are the Bulls projecting to have in 2019? There are a lot of factors that go into that projection. Factors such as the Lavine/Nwaba extension, the Bulls 2018 6th and 22nd pick salary projections, and their 2019 draft pick salary projection. And most importantly the final salary cap number for the 2019-20 season. Let’s assume it will be close to and use that salary cap projection. Let’s also assume the Bulls extend Lavine and his 2019-20 salary cap hit is 16,000,000, and they also extend Nwaba with a 2019-20 cap hit of 5,000,000. Also let’s assume they stay at 6th and 22nd spots for the 2018 draft which would be a 2019-20 cap hit of 4,707,600 and 1,927,100. And let’s go ahead and say the Bulls will just miss the playoffs next season and end up with the 14th pick. (Just to be clear not my prediction, but I assume they won’t be too far from that 14th spot.) The 14th pick for 2019-20 would have a cap hit of 2,851,900. And until the Bulls make additional moves I assume; Felicio, Dunn, Markkanen, and Valentine will still be on the roster with their salary cap hits along with Portis’ cap hold. That would give the Bulls a team salary of 64,814,736, which projects the Bulls to have 43,185,265 in cap space. Again, that is just a projection. It is not accurate as I mention because of all the factors that will determine that number. But it is clear the cap flexibility is there to have max space for those players, more than enough. And according to our projections, they could have about 10 million in space left over. Which is somewhat important because it is over the MLE projection amount for 19-20, which is 9,161,000. Which means the ability to offer a max and still outbid teams who could only offer the MLE is possibly there for other free agents. But let’s get back to Portis’ extension. Does it make sense for the Bulls to extend Portis this off-season? The Bulls have recently let most of their upcoming restricted free agents hit the open market; Jimmy Butler, Miroitc, and Lavine recent examples. And personally that is what I believe what will end up happening and I would tend to agree with that. I get the risk, but most teams aren’t projected to have space in 2019. I like the Bulls chances at retaining Portis at a reasonable contract in 2019 while maximizing the space they can have that off-season. That to me makes the most sense for the Bulls if they are valuing cap space in 2019. Gives you the most flexibility while still allowing yourself to likely retain Portis. How Good Can Bobby Portis Become Offensively? The 3rd year player Bobby Portis has had a solid 2017-18 season. He is finally getting over 20 minutes per game, and is showing he can be a productive offensive player. Let’s look at Portis’ career numbers. You can see with minutes, Portis is showing his offensive potential. For a big he is a decent shooter, he gets offensive rebounds, and can get 15-20 points in starter minutes. Here’s a quick look at Portis’ per 36 minutes numbers. The per 36 stats just gives you an idea with more minutes, what Bobby can do. No it doesn’t necessarily mean he will put up these exact numbers. I do think however it’s fair to say with about 25 minutes plus a game, Portis is good for 15 points or more on average. Portis has shown he can be a solid offensive player, but the question really is how good can Portis become? Could he become a reliable starter? Or could he even become an All-Star? A more in-depth look at how he gets his points will help us figure out his potential. Looking into Portis’ numbers, it’s clear he likes to shoot the ball away from the rim more than the average big. The chart you see is from Cleaning The Glass. It is a site run by Ben Falk, previous Vice President of Basketball Strategy for the Philadelphia 76ers, and former basketball analytics manager of the Portland Trail Blazers. The stats from this chart exclude “garbage time stats”. You can see here what garbage time is defined as, garbage time. Portis shoots 38% of his shots at the rim, which is below average compared to his position. You see he shoots 26% of his shots from 3 which is above average and 36% from mid-range which is above average at his position. Portis unlike most bigs, relies on outside shooting just as much as at the rim shooting. Let’s take a quick look at how he shoots from each of these areas. You can see why Portis likes to shoot as many jump shoots as he does. At the rim Portis shoots 57% which is in the bottom % compared to his position. Portis is a good mid-range shooter though as you see he is in the top % compared to his position from there. From 3 he is slightly below average. We will dive deeper into whether or not Portis can improve at the rim, but looking at these stats his game reminds me of someone similar. Someone who is a former 4 time All-Star. That player is Paul Millsap. I’m talking about the Paul Millsap from 2013-14 to now. The Paul Millsap who became a better shooter once he signed with Atlanta. Let’s take a quick look at how Millsap likes to score. Here is where he likes to shoot from since 2013. You can see the numbers are very similar to Portis. Millsap takes more shots from mid range, than he does at the rim. For a big, Millsap shoots a lot of jump shots. Let’s take a look at how he shoots from these areas. The numbers are very similar between Portis and Millsap. They both shoot about the same from 3. They both like to rely on jump shots really when you break it down. For 4 seasons in Atlanta, Paul Millsap was an All-Star. Let’s take a quick look at those numbers. These are Millsap’s numbers all four All-Star seasons. When you compare these numbers to Portis’ per 36 numbers, they really start to look similar. The question becomes can Portis be as good as Millsap? What are the differences between their games? One thing difference you notice is Millsap gets to the line more than Portis. Let’s take a look at their drawing shooting foul numbers. Looking at the SFLD%(shows the % of the shots player is fouled on), clearly Millsap gets to the line more than Portis. One of the reason for this is likely speed. Millsap blows by his man more, which causes defenders to foul him more than they would with Portis. Defenders are caught out of position more guarding Millsap. This is important because neither are great shooters. Not just relying on shooing and being able to get to the line produces more consistent numbers, which has helped Millsap put up All-Star numbers. I don’t expect Portis to ever become great under the rim, or even good. But he needs to get closer to average for his position. Getting stronger, working on jumping, and getting better footwork will help Portis. I also think getting more comfortable with his left will help a lot. Portis at times forces shots with his right, when the shot would be easier with his left. Working on these little things can get Portis 2-6 extra points a game. I think the potential for Portis to become good offensively is there. The things I would like to see Portis improve is his shooting, footwork down low, his left hand, his strength, jumping, and offensive awareness. I think Portis can become a better shooter than Millsap. He is a better free throw shooter, and I do believe Portis has a nice shot. I think the more he works on his shot, he can become closer to a 38%-40% shooter from distance. Footwork down low can improve which ties in with his left. Portis most of time is looking to finish right. All his set up moves in the post are to set him up going right. Defenders know this and will play him that way, getting them to respect his left will only help his game. Getting stronger comes with age, and the stronger Portis becomes the more separation he will be able to get for his shot down low. And just offensive awareness but more so his shot IQ. This has improved but still needs work. Portis at times settles for bad shots. Contested 3’s or just quick 3’s in general. Usually experience will fix this, Portis just needs to learn what a good shot is and when it’s better to just pass the ball. If I had to guess I don’t think Portis will ever become an All-Star but I do think he will become a good offensive player teams can rely on. Portis has at least shown the offensive talent that can keep him around the NBA for another 5-6 seasons. Maybe more with hard work. The Bulls for now should realize they have an offensive talent in Portis, that could help their bench for a long time moving forward.